Oby's Blog: A member of the Edo State House of Assembly, Hon. Peter Usman Aliu, is dead. A member of the Edo State House of Assembly, Hon. Peter Usman Aliu, is dead. 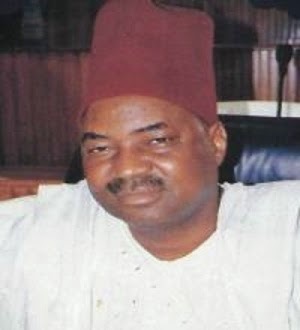 The lawmaker, who is representing Estako East constituency reportedly, died of kidney related ailment in the early hours of Monday at the University of Benin Teaching Hospital, Benin City.The deceased, who is a strong member of the All Progressives Congress, APC, reportedly played a vital role during the defunct Action Congress of Nigeria’s attempt to remove the Peoples Democratic Party from the leadership of the state assembly. He also attended Ambrose Ali University, Ekpoma, where he got a degree in Law, and was called to bar 2000. Aliu, who was the chairman house committee on public account, appropriation and project monitoring was said to have picked expression of interest form to contest in next year’s general election. Meanwhile, APC has called on President Goodluck Jonathan to show better understanding of democracy by immediately restoring the police security details witdrawn from the Speaker of the Federal House of Representatives, Aminu Waziri Tambuwal.